In Ruamrudee International School, the choir provides opportunity to talented students who desire to improve their singing ability, muscianship and challenge themselves with a more difficult choral repertoire. Periodically, the director holds auditions for new members who need to train with the group until they can be accepted as regular members. In its long history, famous singers within the Kingdom of Thailand have hailed from the Jeremiah Singers, who also act as Ruamrudee International School's singing ambassadors to the community at large. NOTE: This map is interactive; move around and/or zoom in/out to explore. Click on the marker icons to see their details. Copyright © 2008. 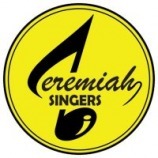 The Jeremiah Singers. All rights reserved.